It looks like hit country singer/songwriter Chris Janson is about to have a big summer. His new single “Fix A Drink” was the most added single at country radio upon impact, and he’s embarked on a summer concert tour, joining headliner Sam Hunt and Maren Marris on one of the most anticipated country tours of 2017. Janson has just released a new 5-song EP titled Fix A Drink, which includes his single and four new songs. He is almost finished recording his next full album, which will be released in late August. Besides his artist career, Janson is known as a successful hit songwriter who’s written three Top 10 country hits for other artists. He co-wrote the hits “Truck Yeah” and “How I’ll Always Be” for Tim McGraw, and “I Love This Life” for LoCash. He’s also co-written songs for Justin Moore, Hank Williams Jr., Randy Houser, Joe Nichols, Parmalee, Frankie Ballard, Tyler Farr, Jerrod Niemann, Craig Campbell and Holly Williams. Janson will be spending a large portion of his time on tour for the remainder of the year. After he completes his summer tour with Sam Hunt and Maren Morris (called the 15 in a 30 Tour), he will be playing selected dates this fall with Tim McGraw & Faith Hill on their Soul2Soul arena tour. 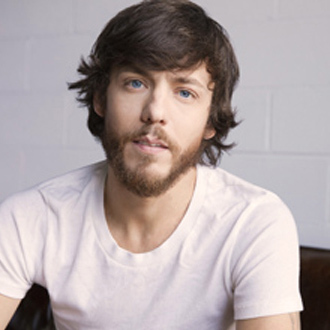 We are pleased to do this new Q&A interview with Chris Janson. He tells how he co-wrote his single “Fix A Drink,” how he wrote his other hit songs, and his current tour with Sam Hunt and Maren Morris. DK: I like your new single “Fix A Drink.” How did you write this song with (hit songwriters) Ashley Gorley and Chris DuBois? You know, we always try to write a song that we think the average, down-the-middle country music listener, or anybody for that matter could relate to—it’s a lifestyle song. I think “Fix A Drink” is the epitome of that. It’s also a summertime anthem, and it’s really turning into that, so it’s pretty cool. DK: It seems like some of your singles have a fun message or a positive message, like “Fix A Drink” and “Buy Me A Boat.” Do you like writing these kind of concepts? Janson: I do, because Man, one thing I miss traditionally in country music, is the fun and humor in it. Whether it’s a drinkin’ song or a cheatin’ or heartbreak song…you know, if you listen to Hank Williams Sr.’s songs, you hear a lot of humor in those. It could be the most depressing song in the world and [still] have some humor in it. And so I absolutely like writing those songs, because it’s real world…it’s real life stuff. And everyone likes to get a good laugh or a smile, to make themselves feel better. I think it just fits perfectly. My songs are a direct reflection of my attitude and the way that I’m feeling, and the way that I try to live my life. And “Fix A Drink” goes right along those guidelines…Smile, don’t try to fix things that aren’t broken, and you certainly can’t fix what already is. So just do the best you can, and smile, have a good time and try to enjoy some life. We’re not here for very long, so we’ve gotta enjoy it while we’re here. DK: Your new EP has just come out. Can you talk about the making of this EP? Janson: Certainly. Let me say that we’re finishing the (full) album, which will be out in late August. The new EP has five songs on it. Since I’m on tour with Sam Hunt and Maren Morris, I wanted to share some new music with the fans, that I’ll be playing live anyway. So I figured, let’s get some new songs up on digital platforms, that people can hear now. With the new EP, I wrote all the songs on it. And in a nutshell, it’s a whole lot of fun, it’s a whole lot of happy. It’s gonna make you smile, it’s gonna make you laugh, and it’s 100% me. Every song on there is different—it has a different sound to it, but it’s all in the same way. DK: Besides the songs you write for your own albums, you’ve written two hits for Tim McGraw (“Truck Yeah” and “How I’ll Always Be” and one for LoCash (“I Love This Life”). Can you talk about writing for other artists? Janson: Yes, those are the three of the very successful ones that I’ve had on other artists. Man, those in particular—“Truck Yeah,” “How I’ll Always Be” and “I Love This Life”—those were big hits, and it’s such an honor to be a songwriter. What a gift we’re privileged to have as writers, and we have something that not a lot of people get to achieve or even get to do in their life. I love writing songs for myself, but I love writing them for other people too. And the way that I do that is, I (usually) write songs for me (as the artist), and when I get done with it, I’ll know whether I’ll record it, or if it will [work better] for another artist. It’s a gut feeling. For “I Love This Life,” to me it just felt like a LoCash song. When I wrote the other two songs (“Truck Yeah” and “How I’ll Always Be”), they just felt like McGraw songs. So that’s where they went. DK: So when you’re co-writing, by the end of the session, you’ll know if it’s for you or another artist? Janson: Yes sir, Absolutely. And you know, that’s the beauty of where I’m at in my career. I’m able to pick and choose, because I wear two hats, I like to say. 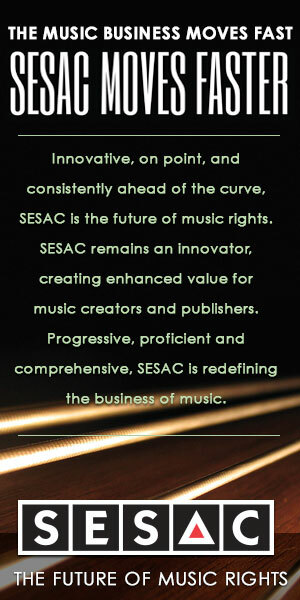 I wear a recording artist hat and I wear a songwriter hat. And it’s been a huge honor. For instance, when Hank Williams Jr. put his last record out, his camp kind of nudged around [and asked about] some songs. I said, “Well, I’ve got some songs for it.” I thought they would be perfect Hank cuts, and every song I pitched, he cut. DK: Your hit song “How I’ll Always Be” for Tim McGraw is a slower, more heartfelt ballad. Do you like writing ballads as much as the fun songs? Janson: Good question. My heart lies with the slower, more collected, songwriter-esque songs if you will. That’s what I do naturally when I wake up. In fact, songs like “Buy Me A Boat,” “I Love This Life,” “Truck Yeah,” “Fix A Drink”—those kind of songs do come natural to an extent, but it’s not the first thing that I start playing when I pick up the guitar. When I pick up the guitar, the first thing I start playing is a melody like “Holdin’ Her,” which was a Top 20 hit I had this past year. “How I’ll Always Be” on McGraw, “The Chair” by George Strait, written by Dean Dillon—those kind of heartfelt songs are what I’m the biggest fan of. I always say that if I didn’t do this as a profession, what music would I play as a hobby? I would play those kind of songs. I mean, that’s what I do naturally when I wake up. .
DK: I also wanted to ask you about “Buy Me A Boat,” which was such a big hit. Can you discuss how you wrote this song? Janson: Certainly. It’s the same way that Chris DuBois and I wrote “Fix A Drink.” I went to his office; we were throwing ideas around for probably three or four hours and hadn’t come up with anything. Then Chris said, “Hey I’ve got this title called ‘I Can’t Do This, But I Can Buy You A Boat.’” I’ll never forget him saying that. I answered, “Oh my God…Buy Me A Boat!” And there it was, BOOM! And we knew we had something. DK: Currently, you’re on tour with Sam Hunt and Maren Morris. How’s the tour been going? was co-written by Chris Janson. Janson: It’s amazing, dude. Honestly, it’s one of the greatest tours I’ve been a part of. Sam is awesome, and Maren is awesome. We all get along so well. Our music is so different, but we all just love music and we write our own songs. It’s so fun. DK: I read that you’ll also be going on tour with Tim McGraw and Faith Hill. Is that true? Janson: Yes, I’m doing select dates on their Soul2Soul Tour this fall, and I’m looking forward to that. It’s going to be a great honor to do this tour. Of course, Tim’s a great friend, and so is Faith. I’m excited that they invited me. DK: Thanks Chris for doing this interview. Is there anything else that you’d like to mention for this article? Janson: Man, I just want people to know that I’m so grateful, I feel so blessed. I’m thankful for my job. And to anyone who has supported me or does support me, thank you very much.